The fuel/food you put into your body directly influences what kind of body you build, your level of health and how much energy you have. If you want to make a change in any of these, the quickest way is to change what you eat. 1. Food Sensitivities: Lab testing can be done if indicated. 2. What should I eat? Paleo, vegan, gluten free, meat lover’s diet, carbs or no carbs. 3. Is the digestive system functioning properly? Food sensitivities are easy to test for and suggestions for healthy substitutes for favourite foods will be provided. What should I eat takes a little more research to figure out. That is dependant on your constitutional type and blood type. We are all unique and finding the foods that makes you feel best is a rewarding journey. The next step is bringing your digestive organs and colon back into peak condition. Your liver works so hard to clean your blood of all the toxins and sometimes it needs a little support. Adding friendly gut bacteria in the colon is something beneficial you can to to restore a healthy balance. Food intolerances, deficiencies, dietary imbalances or nutritional excesses have been associated with many medical conditions. Nutrition and the therapeutic use of foods and supplements is a cornerstone of naturopathic medicine. 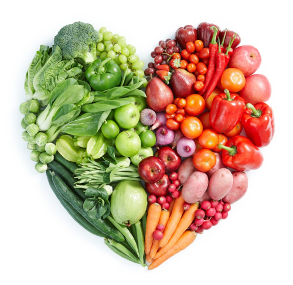 As a naturopathic doctor, I am trained to understand the impact that your diet is having on your health. You are what you eat and you can learn to choose wisely. With appropriate dietary modification and nutritional supplements health concerns can be treated with fewer complications and side effects. Food sensitivity testing may be suggested to pinpoint food intolerances. The natural healthy balance approach is based on the idea that you already have a lot of information at your fingertips and that much information can lead to overwhelm. There are blogs on everything and each one is so convincing. This is a common question I hear from my clients. They are desperately trying to figure out the best choices for themselves. The new on line option allows you to purchase what you want, when you want and have it delivered to your door. Click below and follow the prompts to have your supplements your way.